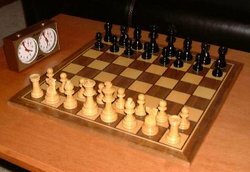 Illinois Chess Directory. If your club is not listed or not up to date please contact us using the link under site index. We have two exciting announcements regarding the Super Event being held in April. (1) IM Irina Krush has joined the field of participants for the GM-A group after IM Roberto Martin del Campo was unable to make it to the event. With Irina's addition the event will host the top three active female chess players in North America: IM Irina Krush, IM-elect Anna Zatonskih, and WGM Rusa Goletiani! (2) GM-elect Pascal Charbonneau will be providing commentary starting Round 5 throughout the end of the event. As you remember Pascal captured his third and final GM norm in January during the Winter Chicago FIDE Invitational event.